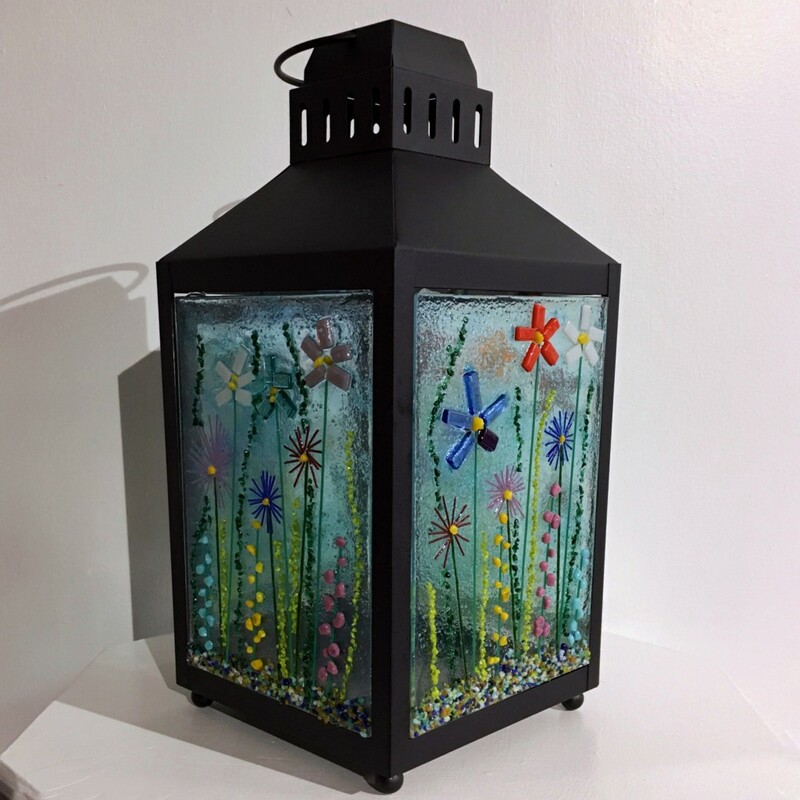 In this class we will be using a variety of glasses and creating 4 panels of glass that will be affixed to a metal lantern. The lantern is 14 inches tall and 7 inches wide. The theme is a Spring Garden and by following a few guidelines concerning design and types of glass, everyone will be creating their own composition. The lanterns can be places inside or outside and can accommodate a real or led candle. Your lantern will be a true “work of art ” upon completion and will withstand the test of time. So let’s welcome in Spring! Saturday, June 8th. 10AM – 4PM. Dan Hoyle will lead this class where you’ll learn cutting techniques, gluing, and grout applications. We will also discuss pattern design. Beginners to glass work are welcome. Tools and materials are included in the tuition. Two days: Tuesday, April 2 and 9 (5 hours) 5:30 – 8PM. Burke Arts Council Members: $55. Non-Members: $60. Students will create a 12” x 16” interior hanging mosaic panel while learning a variety of mosaic uses and applications. We will discuss cutting techniques, adhesives, substrates, grouting and other mosaic materials besides glass. Glass cutting experience and/or mosaic experience is recommended. Tools and materials are included in the tuition. Two Days: Tuesday, April 16 and 30 (5 hours) 5:30 -8PM.